Completely in admire of various SUVs, buyers in India are confused with the arrival of new models piling-up in the market. The multi-faced segment pursues a different hierarchy in India to cater to the needs of the customers. The recent model jump on the Bandwagon is Honda WRV. Customized for the Indian market, the sub 4-meter Crossovers and SUVs are based on famous hatchback from the lineup. The Honda WRV comes with crossover-resembling aggressive and styling elements which are typically a matured jazz. In contrast to traditional theory, WRV obtains unique look than that of its donor hatchback and this feature makes it to stand-apart. Besides from extensive design facets, it also obtains plenty of mechanical updates like reworked suspension and the new transmission for the petrol engine. In order to provide an individual identity, Honda has included some essential design elements in its experiences which look tremendous compared to the overgrown jazz. Bumper in the front part is extremely new and it provides requisite aggregation for WRV. 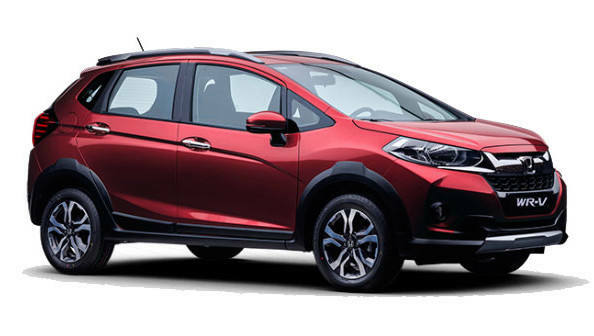 Moreover, Honda has reworked categorically on the rear profile to make it distinct from its donor hatchback. When speaking about its styling features, it has L-Shaped headlamps, dual tone bumper and tailgate, which in turn provide a new-look for the vehicle. Furthermore, the license place seems to be relocated slightly lower than the original position. The side profile of the vehicle is just facet where you can view traces of Jazz resemblance and hence it has also included some new bits to WRV like roof rails, flared wheel arches, plastic cladding and new diamond cut-alloy to get refreshed the look. In terms of interior, WRV borrowed some of the essential elements from Jazz like touch-sensitive climate control, all-black dashboard with chrome-accent, instrument cluster and many others. Some of the new addition to the vehicle comprises of Android Auto, SD card, AUX-in, USB-port, HDMI, Wi-Fi and many others. More than that, the seats are covered with new-upholstery and hence it is shorter. To have better handling capability, it has smaller gear lever. Honda has reworked on its dimensions which reflect the interior spacing, providing more spacing for the occupants. The driver seating is well-cushioned and it also provides adjustable height, good thigh support and back support, which creates it ideal for having long drives. It has modern-day technologies like steering mounted buttons, cruise control engine starts or stops button and power-operated ORVMs. The Honda WRV has both petrol and diesel variant. The petrol variant comes with 1.2-liter i-VTEC engine and diesel variant gets power from 1.5-liter i-DTEC oil burner. Transmission option differs from both engines, like 5-speed manual unit for the petrol engine and 6-speed manual gearbox for the diesel engine. The diesel engine delivers the high power of 99 bhp with the top output torque of 200 Nm. The engine offers good power even at lower rpm. The petrol engine delivers an output power of 90 PS at speed of 3600 rpm and an output torque of 200 Nm at 1750 rpm. Fuel efficiency is rated at 25.5 kmpl for diesel powered WRV while for petrol variant; it is rated as 17.5 kmpl. Get the Mahindra First Choice advantage! Check Used Car in Mumbai!